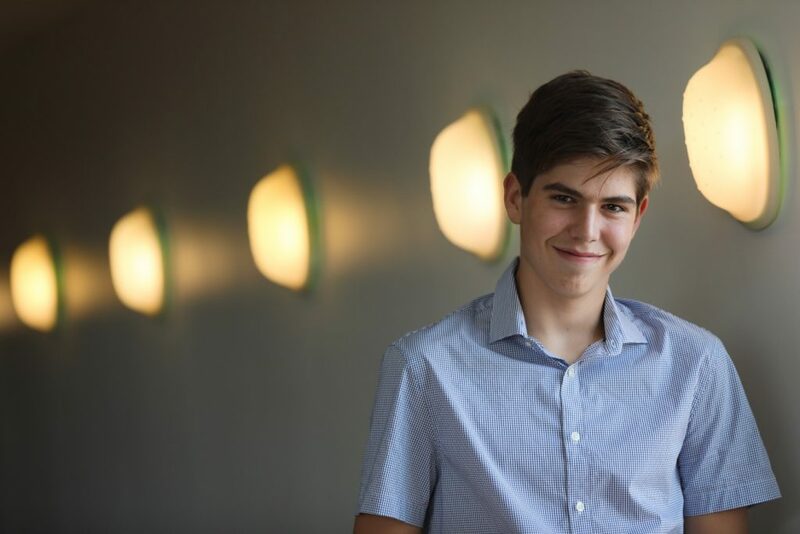 Thomas Lesage, 14 years old, has developed a project to boost general awareness particularly amongst youth about the importance of protecting our oceans. To do that, he has launched a non-profit organization called Children for the Oceans. Today, he sets sail on a school boat on a long educational voyage! 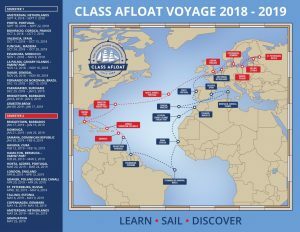 In order to observe the oceans, to make his own assessment, and to provide photos and videos of the oceans for children, Thomas departs from Amsterdam on September 4th. 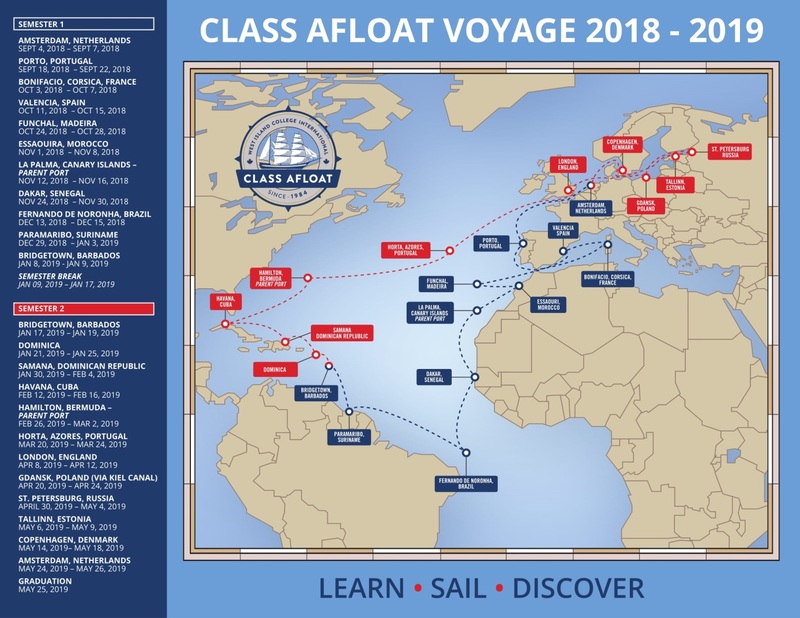 The voyage will be around the world, on a school boat with 66 others children, for 5 months with Class Afloat. The blue dots show the 12 stops that Thomas and Class Afloat will make. He has prepared educational materials for kids and during the stops, he plans to visit 6 schools worldwide in 5 different countries. He wants to tackle, in particular, 3 important topics: acidification, overfishing and the pollution in the marine environment. 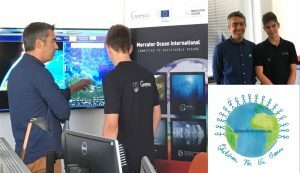 Given the educational value of the project, the Copernicus Marine Service supports Thomas by becoming scientific partner of his association “Children for the Oceans.” CMEMS provides him expertise and educational materials like animations made with CMEMS products. His candidature has been submitted to the Our Ocean, Our Legacy Youth Leadership Summit. CMEMS will be present at the Our Ocean conference where this youth leadership summit will take place. We hope that Thomas will be selected to share his story. Thomas Lesage and Pierre Bahurel, CEO of Mercator Ocean International, discussing in the CMEMS Service Desk office.